What is Formlabs’ Pro Service Plan? Professional users depend on a professional service to succeed with 3D printing. Formlabs delivers professional service with a personal touch through the Pro Service Plan (PSP). First introduced in 2015, PSP has helped thousands of customers successfully integrate stereolithography (SLA) 3D printing into their work environment. Pro Service Plan is currently available in English, German, French, and Italian. Who is the Pro Service Plan team? Our Pro Service Plan team is ready to help you set up a seamless workflow with the Form 2. Our product experts are well versed in the insights, tips, and tricks you need to know to make the most of the features of your printer. They’ll help you quickly discover the best 3D printing workflow for your applications, ultimately speeding up development cycles and increasing print success. Nicolas, who focuses on the French market, appreciates the personal exchange: “I am really happy to see how we developed from a Boston-based company to a global brand, offering our services in different languages. 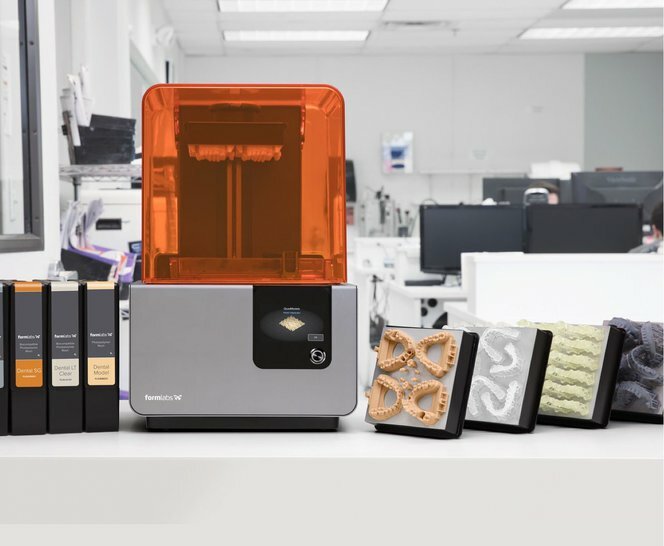 Sarah Levy, Formlabs user services lead, says: “We're thrilled that more and more users are taking advantage of Pro Service Plan and building relationships with our stellar team. When I started at Formlabs two years ago, about 10% of Form 2 users chose Pro Service Plan and we had two team members. Now, more than half of Form 2s sold have Pro Service Plan and the team is more than 15!" When buying the Form 2, it’s important to get up to speed as quickly as possible. Customized live online training is an invaluable onboarding tool. After purchasing the Pro Service Plan, schedule a 30-minute customized online training, tailored to the topics most relevant to your applications. 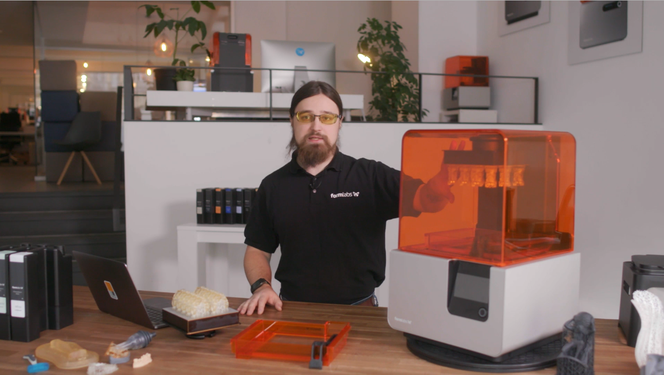 From print preparation in PreForm software to printer maintenance and post-processing, the customized online training covers the most essential aspects of working with the Form 2. Your trainer will also answer questions on individual applications, from engineering and design to dental or jewelry. Send your 3D models ahead and your trainer will talk in detail about how to maximize your print success. To make the most of the training, book your time three to four weeks after practicing with the Form 2. Consider inviting several colleagues to the training and recording the session to review or share afterwards. Watch a short example from our live video training. When a printer unexpectedly stops, or when in doubt about print preparation, print settings, or post-processing, the Pro Services team is here to help and consult. Easily connect with the Pro Services team during business hours with dedicated phone support. As we offer hardware, software, and material updates on a regular basis, phone support is also a great way to get help with new features. We know that for many businesses, it’s crucial to be able to reliably plan 3D printing processes and schedules, and keep production downtime to a minimum. We pride ourselves at the high reliability of the Form 2, with a consistently reported print success rate of over 90%. Multiple sensors control the ecosystem, such as temperature, resin level, or stress impacts on the model to avoid paused or failed prints. However, should your printer stop working, we’ll help to get you back up and running as fast as possible through troubleshooting support or Hot Swap. By phone or email, the Pro Service team will provide detailed instructions and, in many cases, issues can be fixed by the customer on-site. In some cases, the printer needs to be returned to our repair center to resolve a hardware issue. With Hot Swap, we’ll send you a replacement machine to keep, so that you can start printing again within two to seven days. You’ll be at the top of the email chain with PSP support. Send an email to ask about anything from print preparation and post-processing to printer maintenance, and receive helpful responses, sometimes including short video tutorials, within half a business day. You may also receive a link to one of our many guides, whitepapers, and blog posts. Browse our resources page to explore a range of tutorials.